Alison Mathieson has been involved as an Official in athletics in Scotland for the past 42 years since she returned to live in Aberdeen. 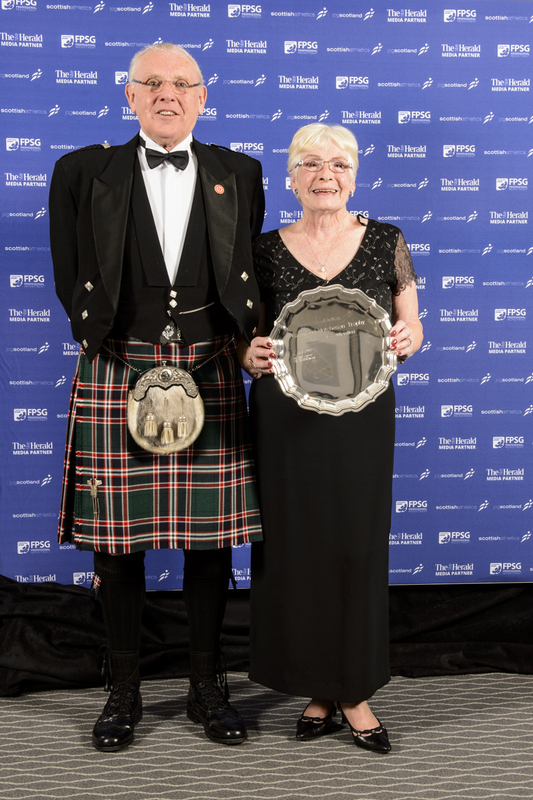 At the FPSG Awards Dinner, that service and contribution was recognised when Alison was presented with the Raymond Hutcheson Trophy for Services to Officiating by former scottisthathletics President, Alan Potts. Janice McFarlane was named as Official of the Year and we offer both these dedicated volunteers our warmest congratulations and thanks for all their hard work. 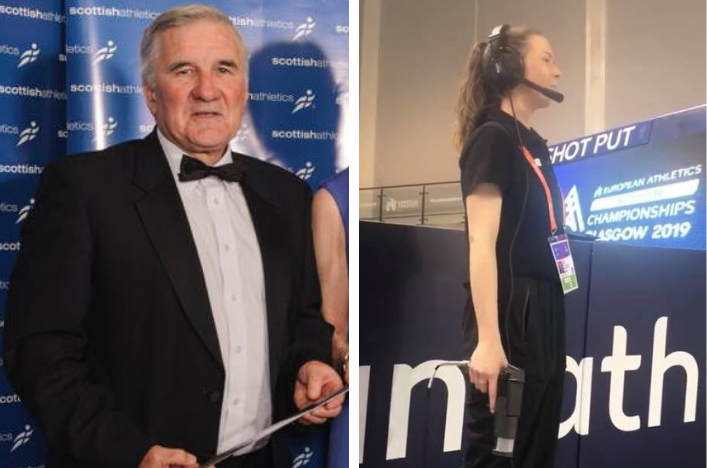 The current edition of our newsletter to scottishathletics Officials features part of Alison’s submission for the award and we reproduce that here to help telll her story . . .
‘I returned to Aberdeen in 1975, having left in 1963, with three children. The first local paper we bought had a picture of lots of young people doing a fun run for AAAC and that decided us to take our children to the club. ‘That winter I helped out at cross country meetings and from then on I was hooked. It became a way of life involving my whole family. 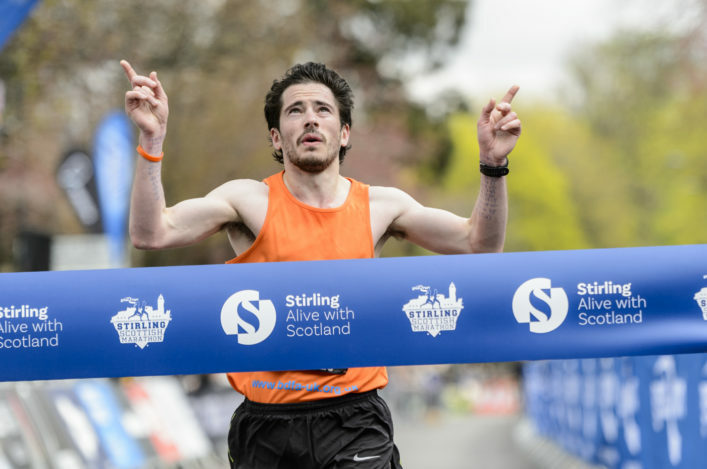 ‘My youngest child, Duncan, was too young to compete but he was happy being a ‘runner’. I sat my first exams in 1978 and got the equivalent of Level 4 in 1982. 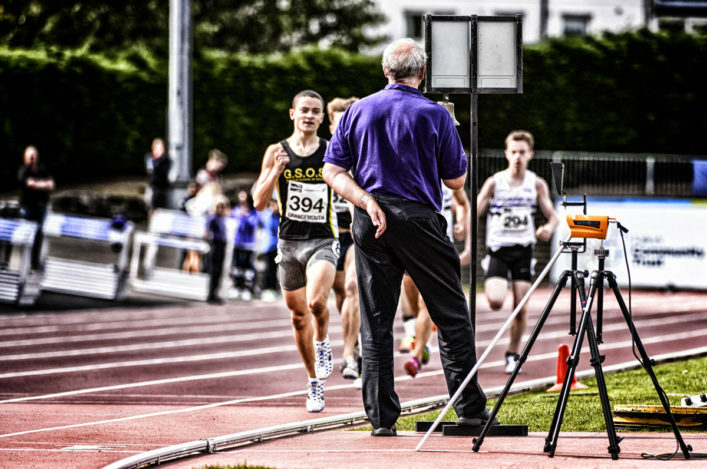 ‘Although my children’s active involvement ended in the late 1990s, I continued officiating in athletics as I wanted to encourage young people to participate, develop life skills and to be the best they can be. ‘I have officiated all over Scotland and at a number of meetings in England. The meetings I have attended range from primary schools to National Championships, Grand Prix, Small Island Games and the Commonwealth Games in Scotland. ‘I still get a lot of pleasure from the sport and a real buzz watching youngsters giving their all.